Recently, Anthony was invited to participate in a book project curated by George Lucas. Being a lifelong Star Wars fan, he jumped at the opportunity. Over 100 contemporary artists interpreted the Star Wars universe for the publication, Star Wars Art: Visions. You can find more information about the new book and additional artwork on StarWars.com and Wired.com. 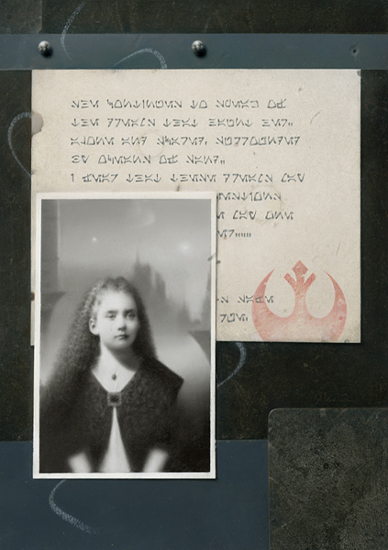 You can also read about the meaning behind the painting Young Leia on Anthony Waichulis' Facebook page. 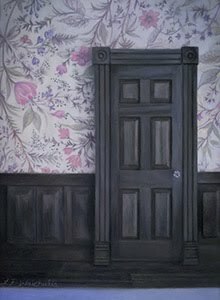 Love this painting... contemporary realism meets sci-fi. Is there another place to read about the meaning of the painting other than Facebook? I am not a member. Hi David, I'm pretty excited about it too! "She continues to speak of the dreams that haunt her. Alone and scared, surrounded by oceans of sand-- I fear that these dreams may one day lead to questions ---Questions we may one day have to answer...She remains safe in our charge"
My work attempts to imply that even though Luke and Leia are light years apart, they are still linked ---perhaps by some "force amplified" connection between the siblings.. 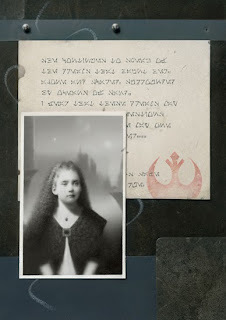 In a very subtle effort to foreshadow Leia's future role within the rebellion you can see I echoed the shape of the rebellion seal (on the paper) in the way Leia is oriented between the structures in the background. I appreciate your effort in including the description here. I'm always very interested in the insights behind other artists work (from the artist himself or herself). Something that is hard to find sometimes. No one else can really do that (including critics). I frequently see comments from artists saying "...my work speaks for itself... or it's visual (language), no description is needed". That is a mistake. Not everyone is as well versed in the language of art and art-making as us, the artists. Most art lovers like to be educated about it, whether or not they are artists themselves. I know art collectors really love to hear these insights... especially if it is art they own, it personalizes it for them. It's these ideas that drive the art itself, structurally, in composition, color, texture etc. etc. and is what separates the best from the rest. It's the insight combined with the visual that I find the most exciting. I should add that insight behind artwork does not always have to be a deep concept... it can be simple, a very simple idea, or be studies, and still be exciting.